"sister's by chance, friends by choice"
We share our dreams, no matter how big or outlandish or strange, we never prejudge each other. We're honest and up front with each other. In each other's faces. And we like it that way. 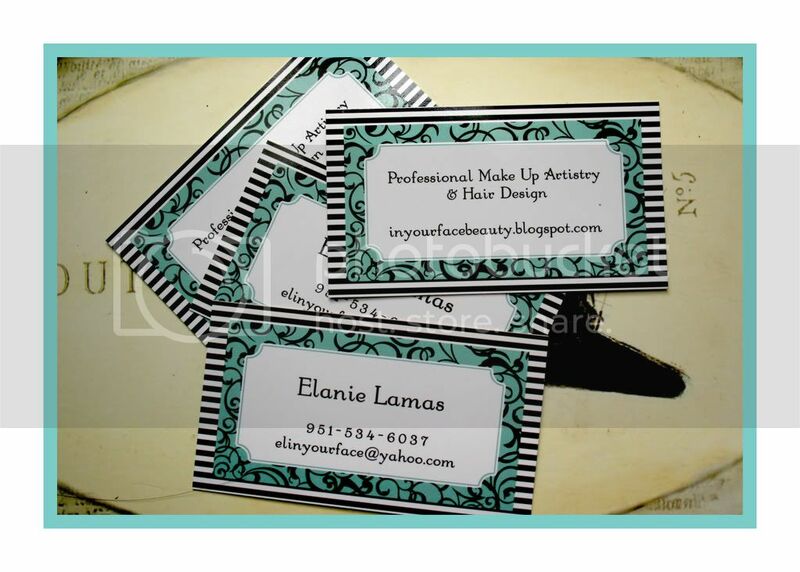 So when she told me that she wanted to push her make up & hair styling business forward, I offered to work on her business card designs. She wanted something that was very her. Something that she would be proud to hand out and feel like it was an extension of her self. After four or five very different designs, we finally reached one that is truly her and she received a box of 1000 cards last week. Here are the cards with the final design. Sister, you rock! I hope that people call you like crazy and I know you're just going to be super!!! Oh! Don't forget to visit her blog, In Your Face Beauty. She does make up & hair for weddings and other events.